QUESTION: Do you have different judging criteria between judging an Amateur or Junior Hunter class versus a Professional class (Pre-green, Green or Working Hunter)? 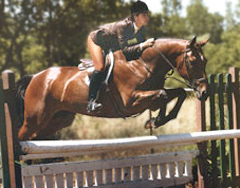 Amateurs (non-professional adult riders) and Junior riders are generally less experienced and therefore less skilled than professional riders who make their living through horse-related activities (although nowadays there are many juniors and amateurs who ride darn good and compete with the pros!). Horses ridden by amateurs and juniors are thus generally more experienced horses and older campaigners. Pre-green, green and working classes are often less educated horses that will move up to more advanced divisions and the junior/amateur ranks once they achieve the required experience. This question addresses the division of the class and if it affects the way in which the class is judged, i.e., do manners and suitability weigh more in the Juniors/Amateurs divisions, etc.